Two teenagers relive their violent deaths over and over when they find themselves stuck in a time loop. Ben and Maggie have met cute hundreds of times; they just don’t remember. Ben experiences strong déjà vu when he accidently spills iced tea on himself after crashing into Maggie on a mall escalator in New Orleans. That innocent encounter leads to attempted murder, 24 hours on the lam, an envelope full of racetrack winnings and a final showdown in a dirty storeroom, where they are shot in cold blood by the same criminal over and over for their misbegotten cash. Each time the teens attempt to change the circumstances that spell their demise, they are thwarted by the machinations of fate, which keeps placing them in the bullets’ paths. Is escape possible, or are Ben and Maggie doomed to repeat the worst day of their lives forever? While the initial premise is captivating, the tendency of all the characters to explain exactly what is happening and why at any given moment in unimaginative dialogue quickly becomes monotonous. 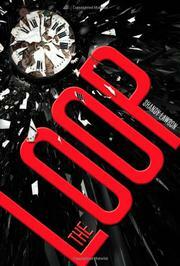 Ben’s and Maggie’s characterizations are thin, and the rules and origin of the loop itself are vague and unconvincing. But the short chapters, straightforward storytelling and slim size may make it attractive to some.